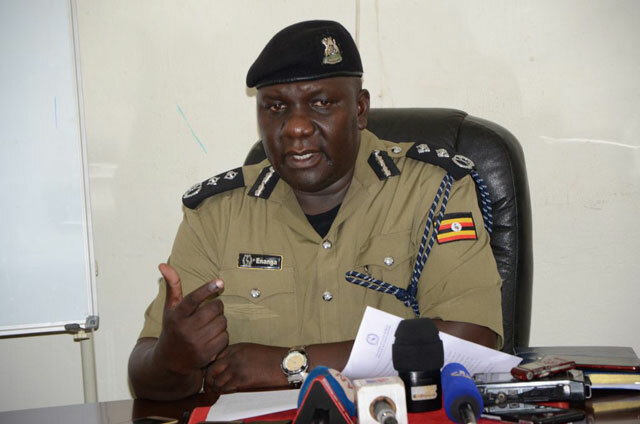 MASINDI – The police disciplinary court on Thursday, March 21, 2019, charged 17 officers with disobedience of lawful orders after they refused to attend a training course at Police Training School Kabalye, Masindi. In December, this website reported that 120 police officers had been selected to attend the course. The objective of the course was to, among others, remind the selected officers of the force’s operation procedures since some of them have reportedly been accused of involving themselves in activities tainting its image. However, it later emerged that the officers shunned the training, which was recommended on the orders of police human resource director Moses Balimwoyo. During the status hearing, 10 officers pleaded guilty, while 07 others pleaded not guilty. The officers include one ASP Oyesigyire Peter, IP luwuliza Emmanuel, D/AIP Bongo Moses, D/AIP Emadu Charles, D/AIP Chuma Charles, AIP Nyende George and eleven other ranks who included D/SGT Kanzira Stuart , SGT Kalule Livingstone , D/CPL Anguduzu Joseph , D/CPL Ipurale John Paul , D/CPL Wandera Denis, CPL Kapere Samson, D/CPL Bwambale Sezi, D/C Namaganda Zuwena, D/C Eyotu Robert, D/C and Kanana Yona. The formal disciplinary process is to help deal with mistakes and misconduct, and help the defaulters once proven guilty to stray within the boundaries of acceptable behaviour learning from their mistakes. “We want to add that the purpose of punishment is to deter future misconduct by officers who are found to have violated force policies and to send a message to others that such behaviour will not be tolerated,” said Fred Enanga, the police spokesman. In January, the group was suspended over the matter. Mr Balimwoyo had ordered the District and Division police commanders not to assign the affected officers for refusing to attend the training. “You are directed not to deploy the following personnel having refused to proceed on TOT [training of trainers] course at PTS Kabalye,” read Mr Balimwoyo’s January 22 directive. “Deliver their personal files to police headquarters to be acknowledged by the director human resource administration. Unit commanders who will defy this order will equally be charged,” he added.